PedalSnake-Strymon 24V Method. Now players can place an ultra-quiet, pro-grade 24V-sourced power supply from Strymon on their pedalboard, powered through PedalSnake, with no AC cord to run! Tour Prep Accessories. These custom designed cable supports enable guitarists to make their setup bulletproof in seconds at both ends (amp and pedalboard). These new features add to the magic PedalSnake has brought guitarists for over a decade. The low-voltage multi-channel cable is light and flexible, for an easy-to-coil all-in-one cable system. Players easily customize PedalSnake to their rig, and it mods easily when their rig changes, making for a lifetime investment. Stellar tone and reduced noise comes via the novel HiC-LoZ Method (using a single buffered pedal). AEStrap Kits. Custom Velcro straps install easily, and bind PedalSnake to the back of the amp, providing proper strain relief and the perfect location to reach all amp connections. PSClamp Kits. PedalSnake clamps provide an iron-clad bond to the pedalboard. “Guitarists are used to traditional guitar cables, which need no strain relief when plugged into the amp,” Page continues. “But a snake is heavier, and does need it.” Tour Prep accessories now make PedalSnake the new standard for touring rigs, with a setup that is fast AND bulletproof. “And the fun part is, PSClamps are so strong, folks can lift their pedalboards off the ground with the PedalSnake! Fun stuff. Watch folks freak when you do this!” (See photo). Street Prices PedalSnake Systems start at $87, AEStrap Kits are $11, PSClamp Kits are $5. A pedalboard-mounted power supply that requires no AC power cord, with fully isolated and regulated outputs. 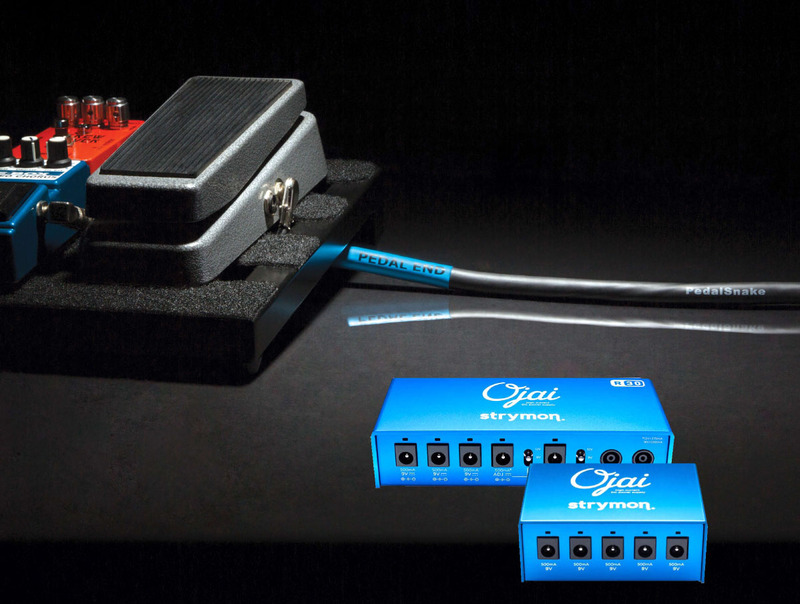 a single PedalSnake channel connects between Strymon’s 24V source at the backline, and the Ojai R30 (or Ojai) on the pedalboard. Users configure a single PedalSnake channel as a P-Line (PowerLine) and add the 24V Adapters. Power ‘em all. The Ojai sports five 9V outputs, while Ojai R30 has 9, 12, and 18V outputs. All are rated a powerful 500mA, enough for all Strymon pedals, as well as larger pedals from Line 6, Eventide, Radial, etc. Expandable: Never run out of outputs. Multiple Ojai and Ojai R30 units can be chained via the powerful 24V source. Ultra quiet. Videos have already surfaced on YouTube comparing magnetic field noise between Strymon and other major-brand onboard power supplies. Strymon’s are the quietest in the bunch. PedalSnake has been replacing pedals-to-amp cables in player’s rigs for years. But in the past, players choosing to keep an onboard power supply had to run a 120VAC power cord in addition to their PedalSnake. This was because PedalSnake employs easy-to-handle low-voltage cable, not safety-rated for high-voltage. Low-voltage cable is the more elegant solution. Why run 120VAC, a voltage capable of delivering 1000’s of watts, to a pedalboard that requires only 1-2 watts of power? Guitar snake cables with high voltage capability require thicker insulation, often as much as 1” in diameter. 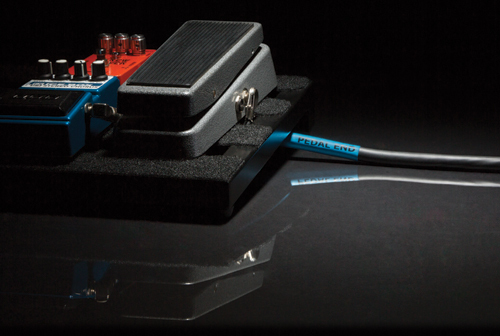 PedalSnake’s low-voltage cable is light, flexible, easy to handle, and coils easily into the smallest pedalboard case. With the 24V Method, players can now have a state-of-the-art pedalboard power supply with no AC power cord in sight, and realize the full beauty of a single-cable PedalSnake system. The lion's share of PedalSnake press releases occurred upon the product release in 2004, and continued while new features and products were added. Here is a history of some of those press releases. From the 2005 NAMM Daily "Upbeat"
RALEIGH, NC. 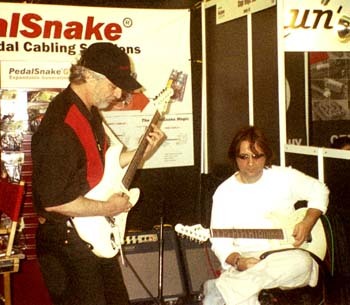 Jody “King Snake” Page, PedalSnake inventor and president of Stage Magic Inc., has had a long varied career, both a professional musician and as an engineer/inventor. Jody started in music as a teenage guitarist/singer. With many successful bands now under his belt, and a successful career as a solo artist, Jody has shared the stage with the likes of Mick Taylor (Rolling Stones), Steppenwolf, and John Hammond. “All Broke Up”, his debut CD (Mass Music) was released in 2001. Midway through his music career, Page went back to school to earn an Electrical Engineering degree from the NC State University. After 20-years in the highly technical fields of printer design, magnetostrictive waveguides, and high-speed encryption hardware, Jody went with NASA for 3 years, where he was elected into the Space Foundation Hall of Fame (2001). He now has three US Patents (PedalSnake included). While Jody still gigs as much as time allows, his new company Stage Magic Inc. now specializes in the development of innovative products for the music industry. PedalSnake, their debut product, is now receiving rave reviews from dealers and musicians worldwide. RALEIGH, NC. Exhibiting at NAMM for the first time, PedalSnake found itself in good company, in fact, a lot of good company. At the conclusion of the 2005 show, NAMM announced record-breaking numbers. A grand total of 78,091 registrants attended, and 1,428 companies exhibited. International attendance grew substantially as well, with a 10 percent increase (to 8,416 from 91 countries). Record crowds marveled at the latest musical instruments and products, attended valuable seminars, and saw many artists and celebrities--all while experiencing the sunny weather and warm hospitality of Southern California. Will PedalSnake exhibit next year? "You bet," says Page. "Maybe I'll live my dream...and get to jam with Hendrix." Jody jams with lefty LA smoke machine JP Cervoni. RALEIGH, NC. 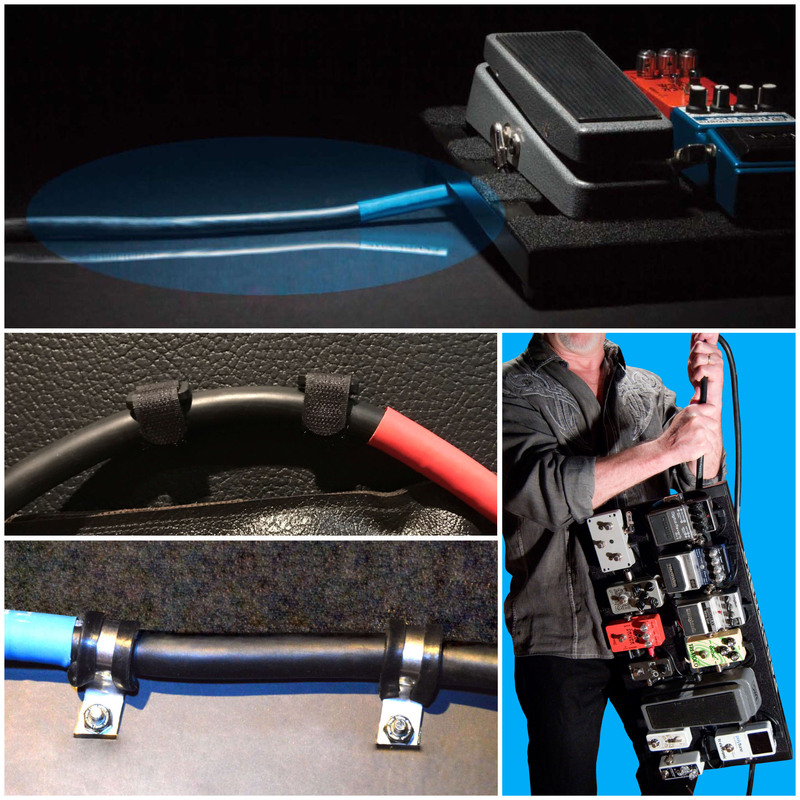 Stage Magic Inc. recently announced its patented product PedalSnake™ was voted “Best Accessory” in the yearly “Reader’s Poll” at Guitar Player Magazine. Guitar Player is one of the oldest and most respected publications in the music industry. RALEIGH, NC. Stage Magic Inc. recently announced several enhancements to PedalSnake™—the patented, award-winning “all-in-one” cable for guitarists with FX pedals. New product options will be accompanied by an increased commitment to a “modular system approach”, simplifying the PedalSnake purchase-decision and offering more cost effective options for the market at large. On the product side, four new PedalSnakeG2 plug’n’play Base Snakes are being introduced. Available in 4-channel and 7-channel versions, each will have a length option of 18 or 24 feet. Each will also include a 5-wire “MIDI5” channel with phantom power—a major plus for customers with MIDI footcontrollers. PedalSnake’s sales methodology is also changing. Kits for G2 Standard Model “kits” will be discontinued. In their place, individual G2 Base Snakes and G2 Pigtails will, for the first time, be offered separately. This allows users to more easily create the perfect custom cabling system for their rig using modular plug’n’play components. RALEIGH, NC. Stage Magic Inc. recently announced that their premier PedalSnake endorser, Ronny North, was voted “Best Male Guitarist” in LA’s All Access Magazine. 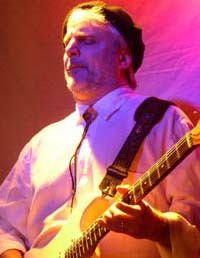 Ronny, from the LA area, has long been considered one of the world’s most gifted and unique guitarists. 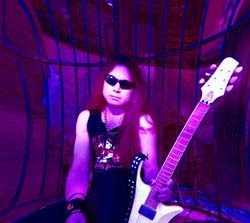 Ronny performs regularly in the LA area, and can be seen in various booths at the Winter NAMM Show.